Loved this book. But, then, autobiographies are one of my favorite types of books. I enjoyed the authors voice & her writing style. It gave you the feeling her story was being told to you rather than reading it. 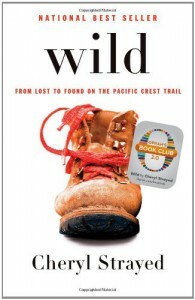 Considering she wrote about hiking over 1100 miles, it never got boring or made me lose interest. She made her tale compelling. So much so that I wish there had been an epilogue or volume 2 to let me read whats happened in her life since 1995. And for an autobiography, that's quite a compliment!